One of the most prominent markets in London (and the UK) has always been the real estate market. Moreover, studies have shown that a new “Generation Rent” is thriving with more millennials looking to rent a house instead of buying one. So when we meet Alex and learned about Homie, we realized that their business model solves a big tangible problem with a unique value proposition while addressing a huge market. Alex had a deep knowledge on the PropTech industry in London and he managed to build a solid business model with healthy unit economics. On the other hand, Alex impressed us for being open-minded & feedback oriented entrepreneur, with the ability to build a great team. In essence, Homie’s value proposition is to be a tech enabled tenant’s agent providing a convenient and affordable solution. Homie is a heavy operational business that also needs solid marketing expertise to attract customers. We invested in Homie in June 2016, when the company had a solid technical as well as operations team in place. No-one in the team had a marketing background — and we knew that, so we advised Alex to hire a head of growth fast. 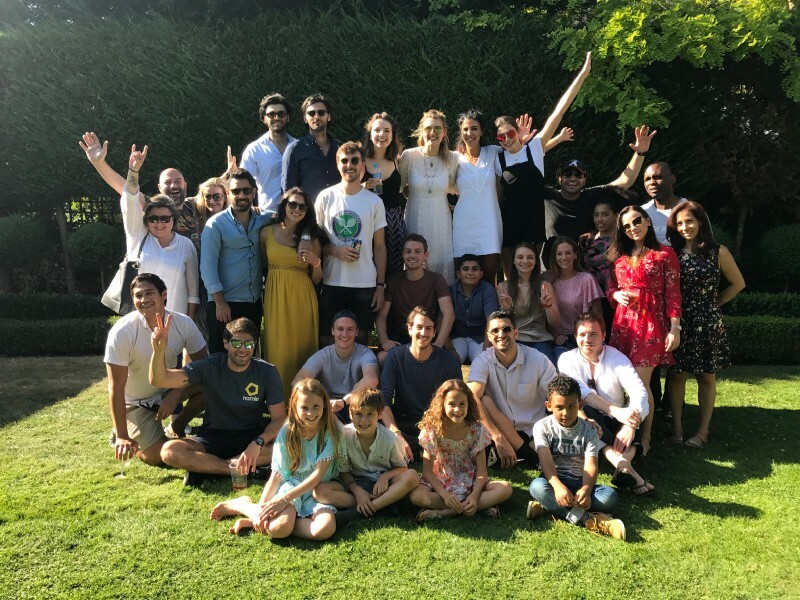 So, Alex moved quickly and hired Fabri who built from scratch a marketing department, hiring a product manager and marketing executives and eventually put the business in a startup trajectory. Homie is a technology platform that connects applicants with real-estate agents. It was born with the mission to change the way people rent, supplying renters with the easiest and fastest way to find a place in London. Consumers who sign up for Homie services will find their dream house-no matter what — thanks to a full range of services. Applicants just say where and when they want to move in, their budget and the desired number of beds. 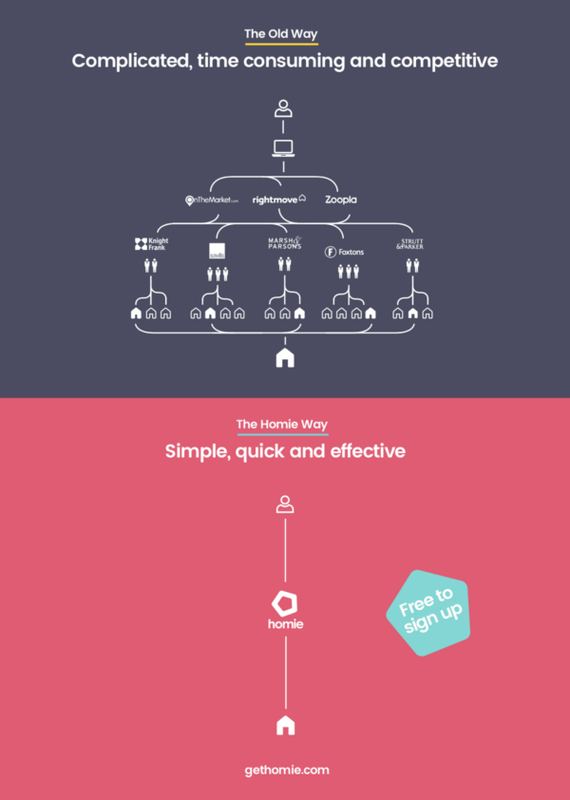 Homie’s back-end technology aggregates every online listing from Zoopla, Rightmove, and OnTheMarket in one place, providing a first list of renting options on the back of applicants requests. Then, Homies (an all-new kind of real-estate agents)* evaluate the listings based on applicants request and their “street knowledge” about the rental market in London. When applicants are ready to view their options, they choose a day on the calendar. Homies organize all the selected viewings on that day, back-to-back, and then pick up applicants with a black cab using Homie’s route optimization system. Transparent pricing, and guaranteed outcome. Applicants can access the full range of services for a one-off flat fee of £88 — no subscription or other hidden fees apply. Consumers can repeat the full cycle unlimited times, from search to viewings at no additional costs, until they find their new home. If applicants don’t find a solution, they get their money back — for complete transparency and peace of mind. *Homies are the new generation of real-estate agents — young and fresh individuals with one mission, getting applicants their dream home. Homies are customer-centric, and devote their expertise to their applicants — whether it’s a clarification on the contract, tips on the surrounding areas, customers can trust their Homies will help them find the best option for themselves. Homie provides to applicants a high quality service and a guaranteed home. The rental market in London (and the UK) is big enough to support a huge business. In actual numbers, ~4M private tenant households in the UK and 20 months average tenancy translate in the market size of billions of pounds. Moreover, taking into consideration that “Generation Rent” is thriving — as we mentioned above, this huge market has growth trends in the company’s favor.